The more you used it, the more you discover great stuff… I wanted to do some analysis with some weather data, but did not want to start searching and scraping sites, then merging and cleansing…you know the drill. 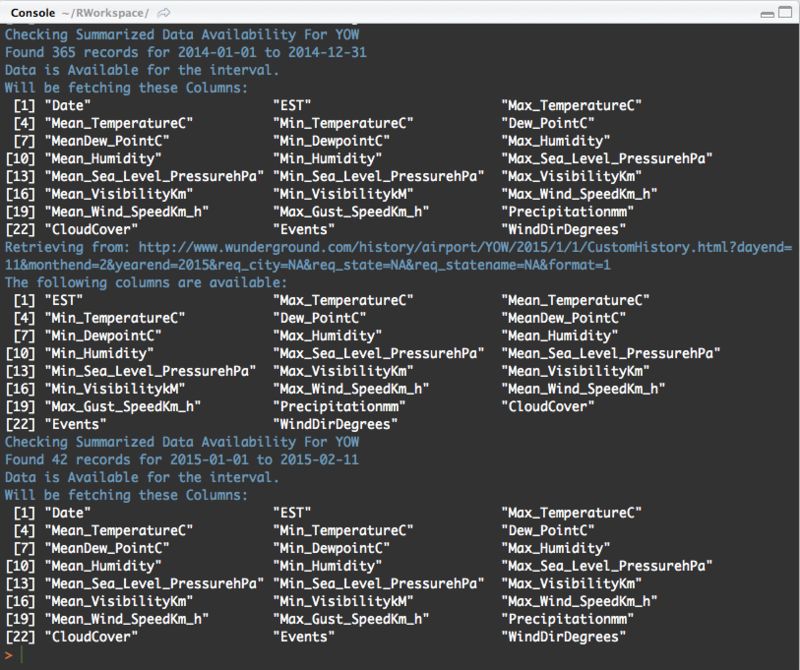 So I came across this neat R package named weatherData. weatherData provides functions that help in fetching weather data from websites, documentation found here -> https://ram-n.github.io/weatherData/. Examining the plots, we can see a slight inverse correlation between February and June (March – black sheep! ), meaning that as the temperature starts increasing, the total attendance slightly decreases. And from July to November, as temperature decreases, attendance slightly increases! # Any correlation between the temperature and attendance? 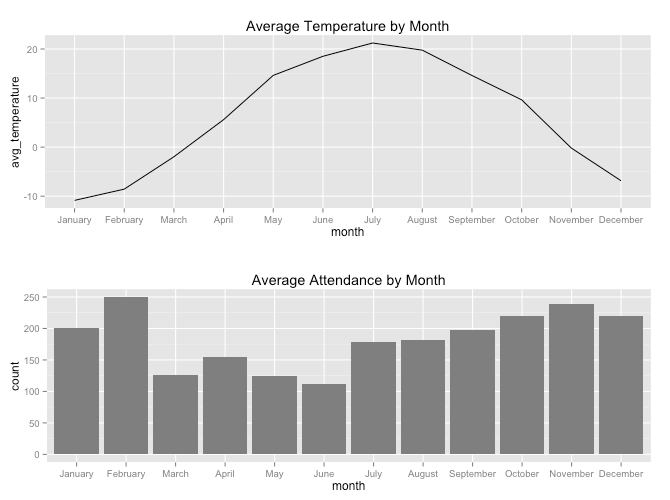 There must be other variables than temperature that is influencing event attendance per month. My hypothesis would be that we would see lower attendance during March break, and the start of summer school vacation (June, July, August), but in this case July and August are up! That for now pretty much puts an halt to my Meetup attendance prediction model. 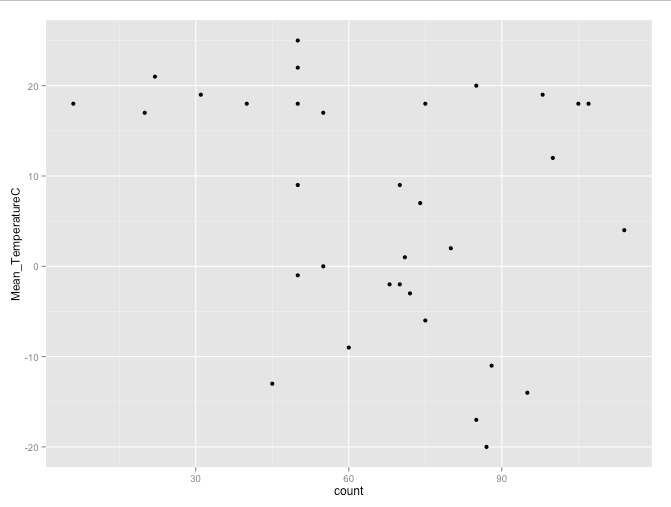 What I would like to analyze are data sets related to daily museum, parcs, library attendance. If you have any other interesting suggestions please let me know, we could work at it together.